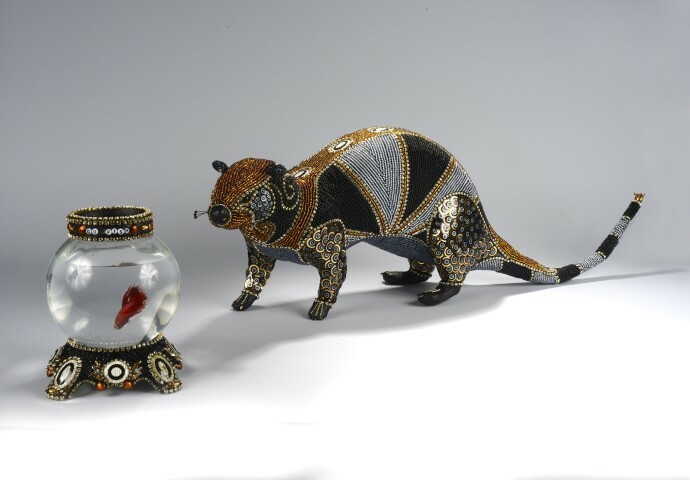 To coincide with their presentation at this year’s Outsider Art Fair (January 21-24, Metropolitan Pavilion), the Rebecca Hossack Art Gallery presents Outside or In, an exhibition of works by celebrated self-taught artist Nancy Josephson. 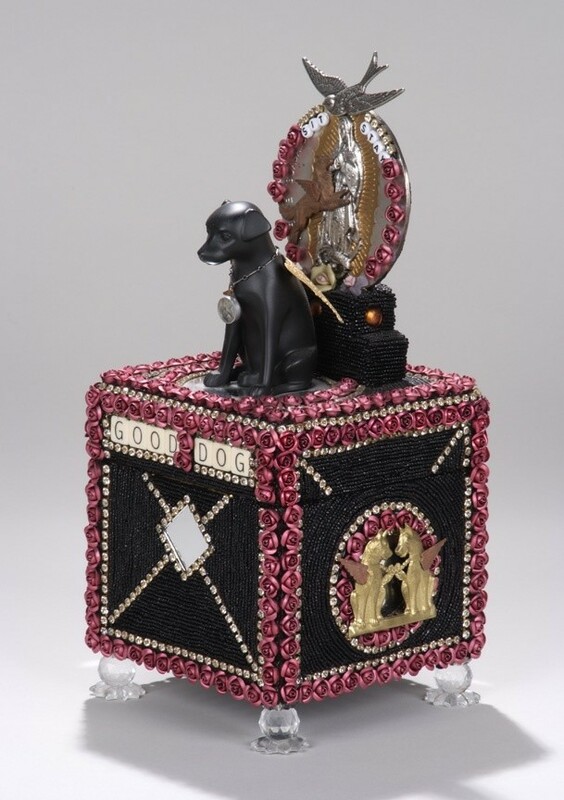 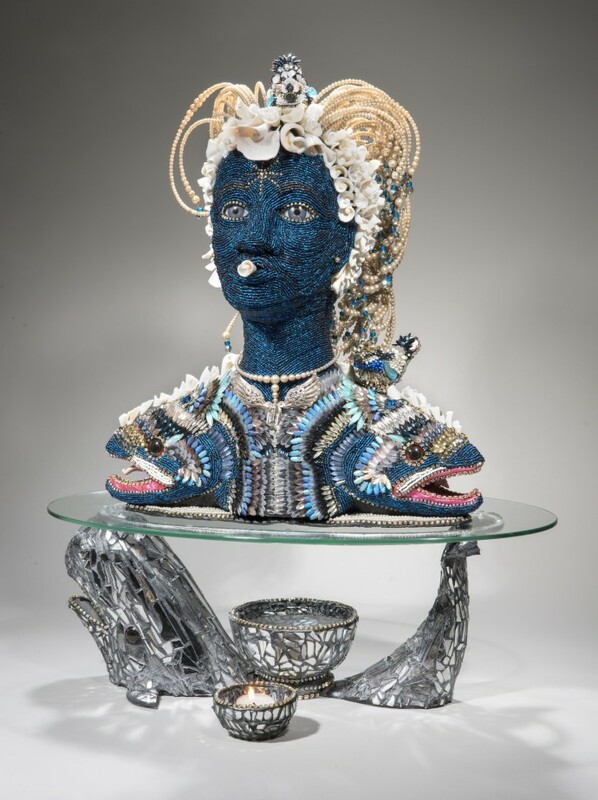 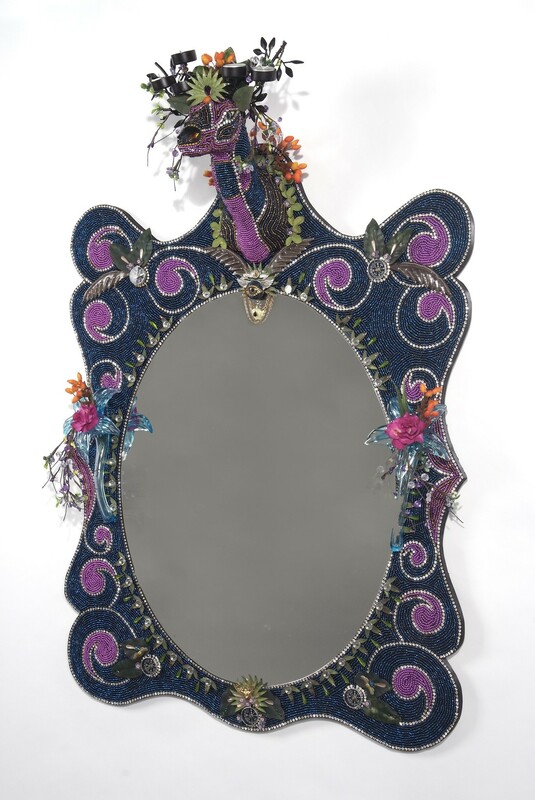 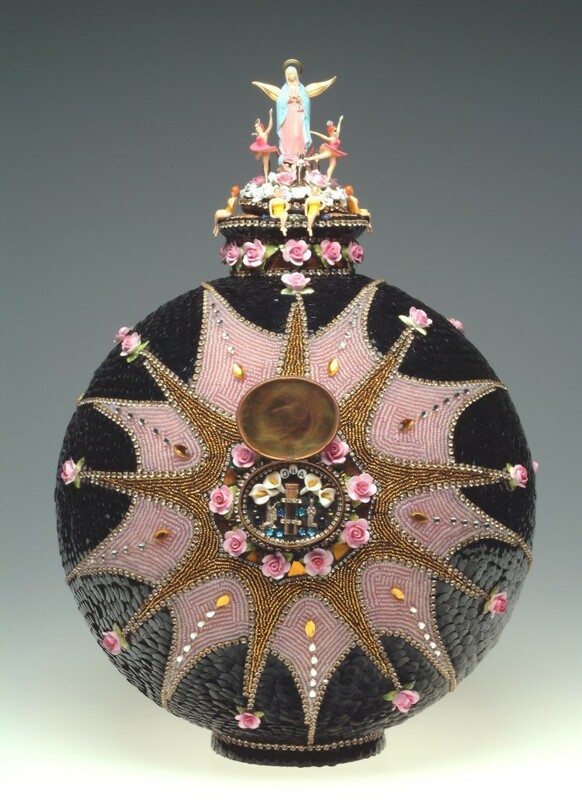 Josephson creates intricate sculptures and decorative objects inspired by her spiritual affiliation with Haitian Vodou traditions. 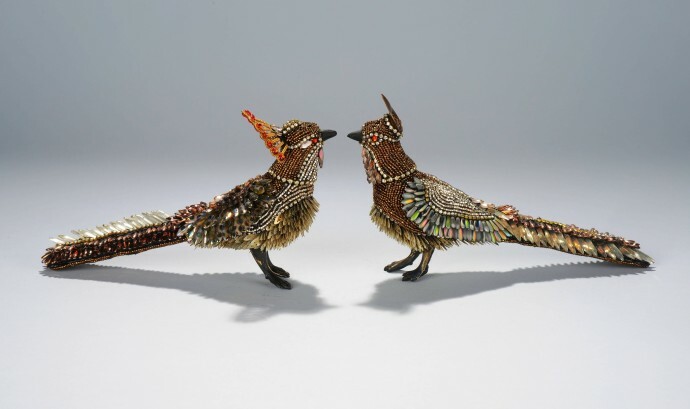 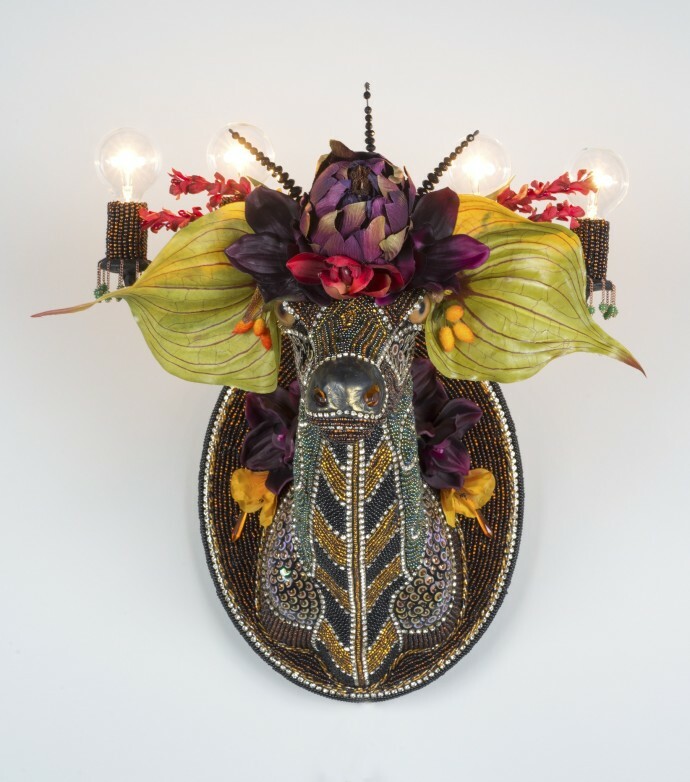 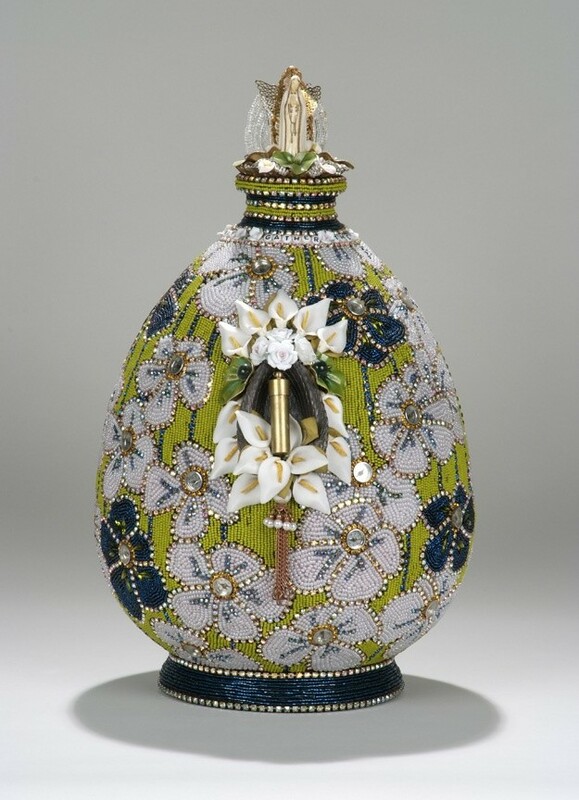 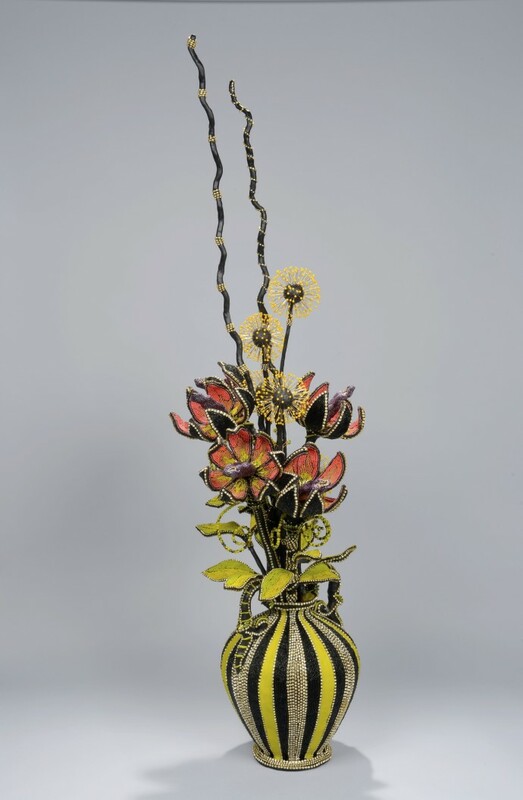 From shimmering birds to spirit heads and deer sconces complete with flowers and lights, Josephson celebrates the beauty of sacred objects, investigating their meaning and exploring their connections to art. 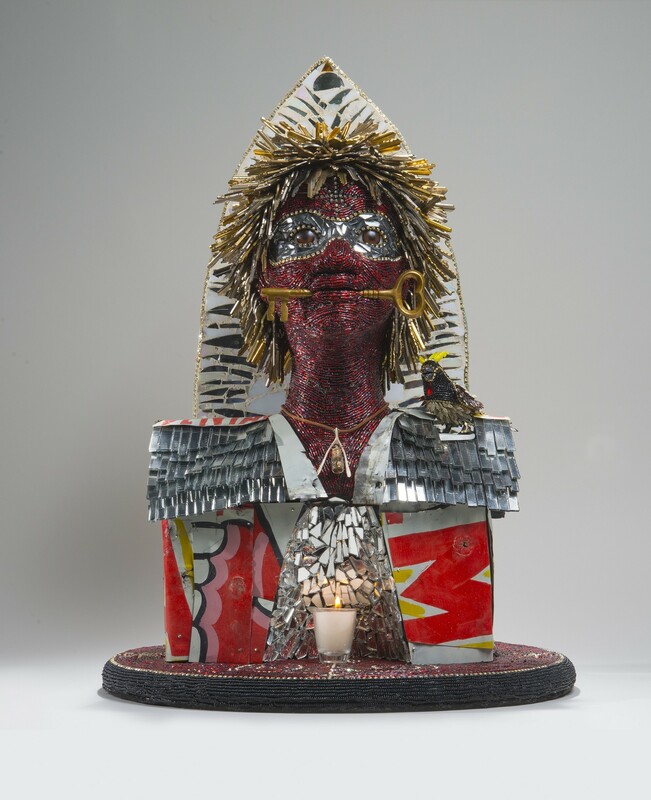 Drawing on Haitian practices of creating beadwork flags and banners as a mark of devotion to Iwa, the spirits of the Vodou pantheon, her works combine the sacred and secular in one. 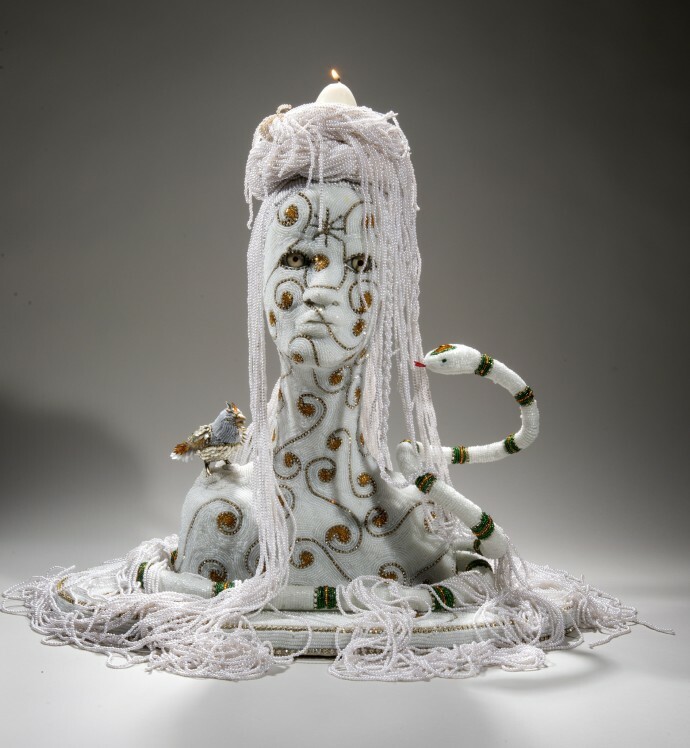 Josephson was initiated as a Vodou Priestess in 2012. 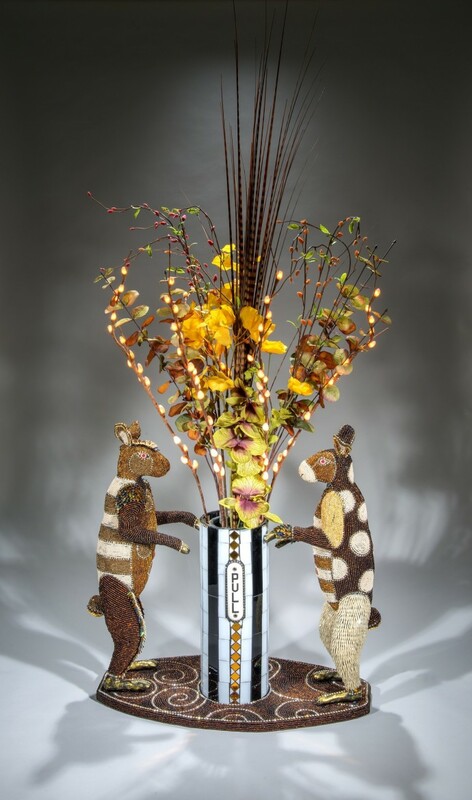 This is her first exhibition with the Rebecca Hossack Art Gallery.